Search Engine Optimization (SEO) is the process used to increase your web sites visibility to the search engines for keywords and phrases pertinent to your business. There are many different things you can do in order to help improve the overall SEO visibility of your website. Below are some of the latest Chicago SEO tips that can help improve your sites SEO Ranking. #1- Add a blog to your website and then use it! Posting new content on a regular basis will help your SEO efforts more then most anything else. No doubt adding new content is the best way your going to generate new SEO Rankings and potential additional visitors to your site. Every new piece of unique content you create can lead to more visitors via the search engines. #2- Do research on your competition and what they are ranking for and the type of links they have. Then try and emulate them the best you can. The best tools for this are AHREFS & SEM Rush. They can give you all kinds of valuable info on what kind of links your competitors have, what they are ranked for, how much they are spending on Pay Per click and all kinds of other valuable metrics. #3 – Remove duplicate content. You can be penalized for having the same, or very similar, content on multiple pages of your site. This has become more important than ever and content is the key to SEO. Yet having duplicate content can have a negative effect on your SEO rankings. You want to make sure that everything is original unique content that is not on any other site. So if you do a 1200 word blog post, do not also use that post for a guest post on another site. #4- Write a unique, descriptive title for every page. You want to focus on one keyword phrase per page and include it in the sites TITLE. This has always been the Top SEO Tip and is still an important factor in getting your pages ranked. You want to make sure you have a unique title and description on every page of your site. You want to make the TITLE short and sweet and related to the page. So if its a Chicago dentist site and root canal page, the title would be something like Chicago Root Canals | Root Canal Dentist. You also want to make sure your title is click-worthy so you can increase your CTR or your click-through rate. The more people that click on your title, the better your seo rankings might be. #5- Make sure your site is Mobile Friendly and also optimized for Mobile SEO. Having a mobile friendly site is more important then ever with Google. If your site is not mobile friendly, then you will not be ranked as well in the Mobile Search results at Google. #6- New websites takes time to build authority and trust, and until you’ve developed both, you shouldn’t expect to outrank older, more established sites. It takes a combination of things to get ranked well. Sometimes you can rank highly for a non-competitive keyword but if you are trying to get ranked for a competitive keyword, it might take some time and effort to improve how well your site is ranked for keywords. Its usually going to come down to you needing to create a content asset that is a super great piece of content that is at least 2500 words long, with videos and an infographic. You then will need to use this content to get more links. #7- More content equals better SEO rankings and more visitors. Search engines reward, and visitors trust more, sites that are filled with lots of pages of good quality content. This is really the top thing you can do to get better rankings. Simply create a page of content around whatever keyword your focusing on. Then even better create subpages of content related to that main keyword and link them together. #8 – Get advice directly from Google. Via their Webmaster Guidelines and Webmaster Help Videos. “Following these guidelines will help Google find, index, and rank your site. Even if you choose not to implement any of these suggestions, we strongly encourage you to pay very close attention to the Google “Quality Guidelines,” which outline some of the illicit practices that may lead to a site being removed entirely from the Google index or otherwise impacted by an algorithmic or manual spam action. #9- Set-up and use Google Webmaster Tools. To find out, among other things, what keywords your site is ranking for and which other sites are linking to yours. This is important for a variety of reasons and you can get a lot of information about your site here including keywords your ranking for, your positions and all kinds of other info. You can also make sure your site is not infected with any kind of malware and Google will send you a message if there are any issues with your site. #10 – Set-up and use Google Analytics. To find out, among other things, how many visitors your site gets, the keywords they use to find it, and what pages they visit. Using analytics can give you valuable information on the visitors to your site. What keywords they are using, what locations they are coming from and many other valuable insights. #11- Set-up a Google+ page for your business. Doing so builds trust with Google and improves rankings for localised keywords. This is a must do for any local Chicago business. The first thing to do in order to get ranked for any Local keyword in the Google local map listings, is to have a Google Plus page that is optimized and setup correctly. Getting Chicago Local SEO rankings is influenced by a number of factors including your Google Plus business page. #12- Backlinks affect rankings more than anything else. The number and quality of links pointing to your site will largely determine in what position your site ranks. There are a number of different factors that come into play with links, but no doubt if you don’t have any links to your site from other sites, you will not be ranked for many terms. There are a lot of basic ways to get links to your site that are totally legit. Starting with making sure you link your YouTube, Facebook, Google plus and other social media sites to your website. Then there are a lot of free directories where you can list your business and also your website URL. After that it gets a little harder! Yet with a lot of effort, you can slowly and naturally build the total number of DO FOLLOW links to your site. #13- Maximize your website’s loading speed. Use Google’s site speed tool and implement the recommendations that they give you. This is more important then ever, making sure your site loads quickly and that it passes Googles speed test. They give you a 1-100 rating and then let you know what you can do. 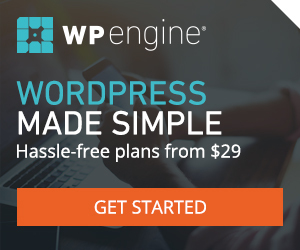 If you have a wordpress site, then you need to setup a performance speed plugin such as w3 Cache to help speed up your site. #14- Create videos. They increase the amount of time that people spend on your site and also allow you to get links from video sharing sites. Having videos can only enhance your site and give your viewers something to watch. They can tell your story better and are another form of unique content. You can easily setup a YouTube channel and upload your videos and then embed them to your site. You can then get your videos ranked at YouTube, Google video and other video sites for keywords related to your business. So having a video can not only be good to enhance your site, but it can then be used to get potential visitors to your site via the video search engines. #15- Get links from local business directories, chambers of commerce and any site that is in your local area and related to your type of business. So if your a Chicago painter in Jefferson Park, you want to try and get your site listed in the Jefferson Park chamber of commerce or whatever kind of local business directory there is. Then if you can find other local businesses in the area that are the same kind of business, it might make sense to contact the owner. So a paint contractor might contact a landscaper or power washer and list their site on a local business partners page on its site, and then the power washer does the same. This is not a link scheme, this is building local partners where the links makes sense for both companies. Start your Chicago SEO efforts today instead of tomorrow. The sooner you start your optimization efforts, the sooner you can see results. Remember that SEO results aren’t instant. The results of SEO work done today might not become apparent, and might not be credited by search engines, for weeks, or even months in the case of Local Search marketing efforts. Contact us today for a free SEO estimate. We handle Local SEO, Video SEO, Organic and Pay Per Click Marketing.